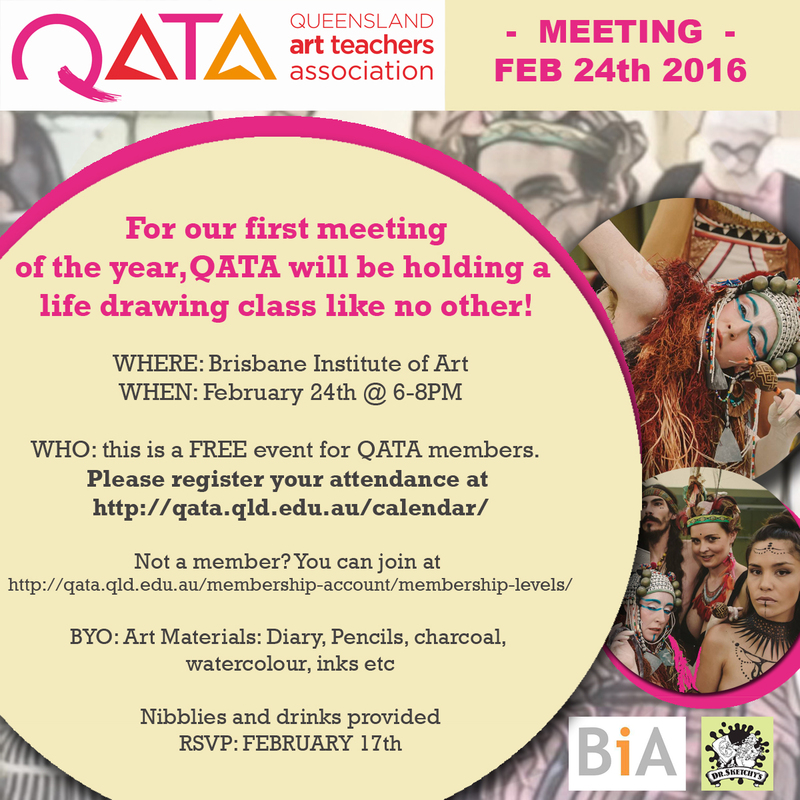 You are invited to the first QATA event of 2017. We are offering a FREE drawing and drinks evening with Dr Sketchy’s. A unique life- drawing experience! Bring your Art materials and grab a drink and relax and celebrate the beginning of 2017 with your fellow QLD Art teachers.